Let’s start off by saying that LTE uses e-NodeBs or the “Base Stations” which are in each cell controlled and servicing all the costumers in a particular area. The Base Stations is composed of the equipment to connect to the wireless antenna, and like in this example each antenna has likely a wireless sector area where they server. Each sector covers a particular area, and once deployed finding out issues becomes obviously more difficult. What DT has done is to connect all the “Session data to the MME,” the MME is the “Mobility Management Entity” or “Mobility Management Engine” that controls where the phone or UE is in the network. 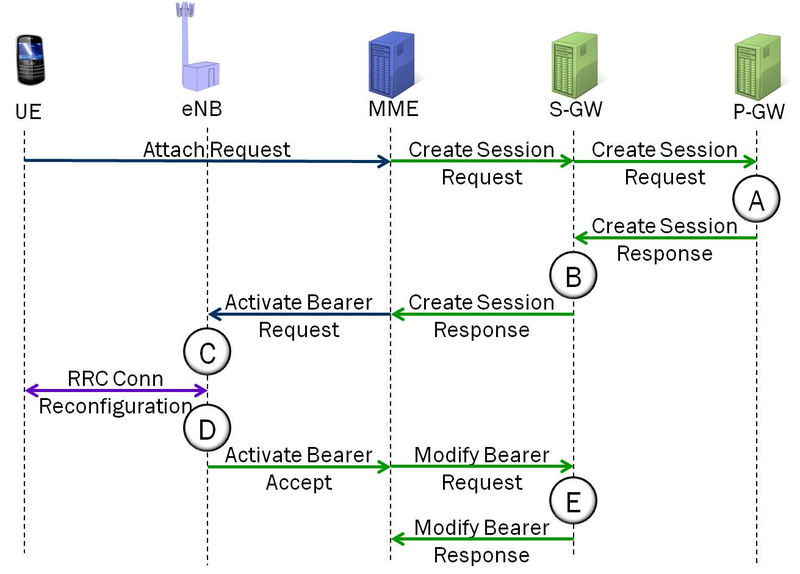 As seen in this Figure, the UE or the “User Equipment” sends a request to the “MME” in the network thru the eNB or E-NodeB which is the base station, and a session is created. As seen here, the Session information is stored in the MME from all neighboring cells. The session information includes the UE ID, the Location ID with Tracking Area Information (TAI) and other parameters like “Bearer” Information, including TEID or Tunnel Endpoint Identifier that maps the tunnel to the Phone. The Location ID as shown, includes the Tracking Area Information and Tracking Area Code which is assigned by the operator. All of these data is pushed to the “Artificial Intelligence” and used to find interference patterns, loose connector, among other things. One example is load imbalance as shown, all resources are reviewed from the eNodeB’s and mapped to determine if a particular frequency is heavily used as shown on the picture below.